A closer look at the previously-studied nearby star Gliese 667C has revealed a treasure trove of planets – at least six – with three super-Earths in the habitable zone around the star. 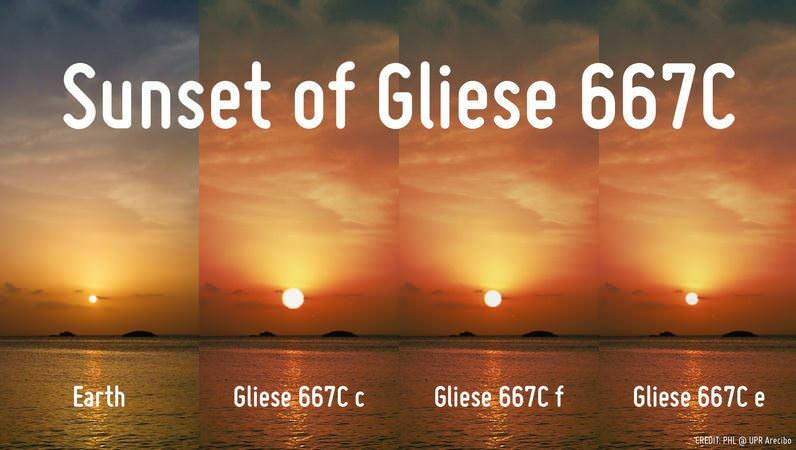 Gliese 667C is part of a triple star system (Gliese 667) and is just over one third of the mass of our Sun. … Continue reading "Three Potentially Habitable Planets Found Orbiting Gliese 667C"